Favorite Red Sox clutch performance? In the days leading up to Opening Day, Boston Dirt Dogs takes a look back the most beloved Red Sox players (1967-2010), and we ask you to pick your favorites. 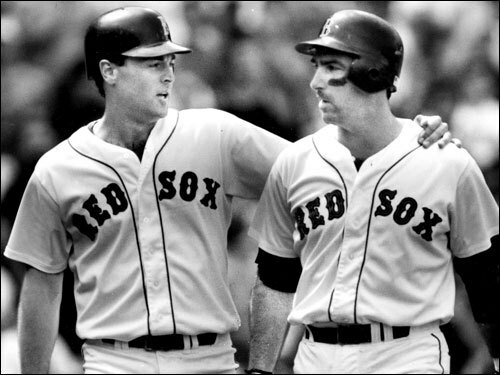 With the tying runs on base and the Sox holding a 3-1 lead over the White Sox, Tom Brunansky (on left with Jack Clark), made a spectacular diving catch in Fenway's right field corner to end the final game of 1990 season, clinching the American League East title for the Red Sox. The play was recognized by the Red Sox Hall of Fame last season.